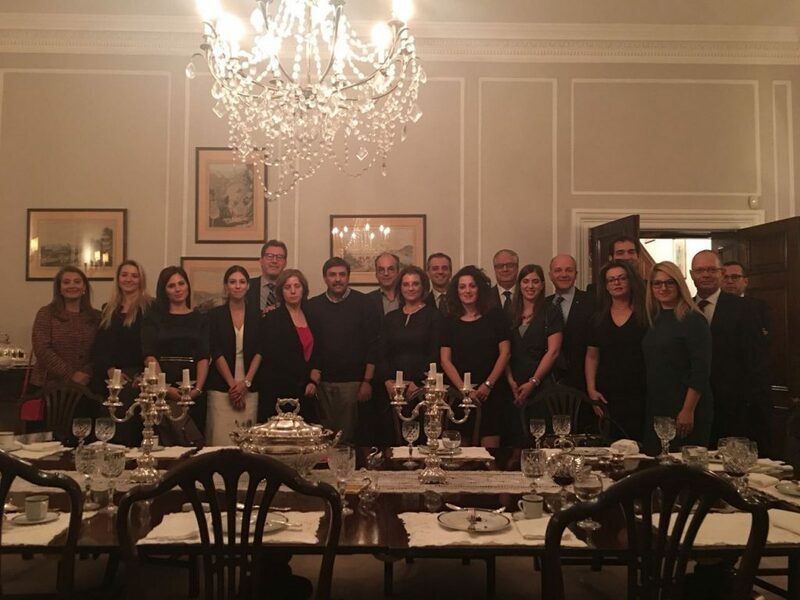 The President and the Committee of the Hellenic Medical Society UK had the immense pleasure of meting the Health Minister of Greece Dr Andreas Xanthos in a work dinner organized by the Greek Ambassador Mr Dimitris Karamisos-Tziras in the Ambassador’s House on Monday the 8th of October. Representation from other health professional organizations was present like the World Health Biomedical Association (WHBA) that was represented by Mr Christos Tolias, WHBA Vice president, the Cambridge Learned Society that was represented by Dr Effrosyni Grania- Klotsas, Vice-president, the UKeMED that was represented by Mr Takis Kotis, UKeMED CEO, the Hellenic British Midwiffery Association that was represented by Mrs Zeni Koutsi, Mrs Erini Platsa, and Mrs Georgia Kontosorou and Nurses Representation from Mrs Nasia Psariadi, and Mrs Niki Tzika. Fruitful discussion followed and concluded on the necessity of the continuous interaction of the Greek Health Authorities with the HMS UK and similar organizations in view of creating a ‘Think Tank” on Healthcare towards necessary structural reforms of the Greek Health system.